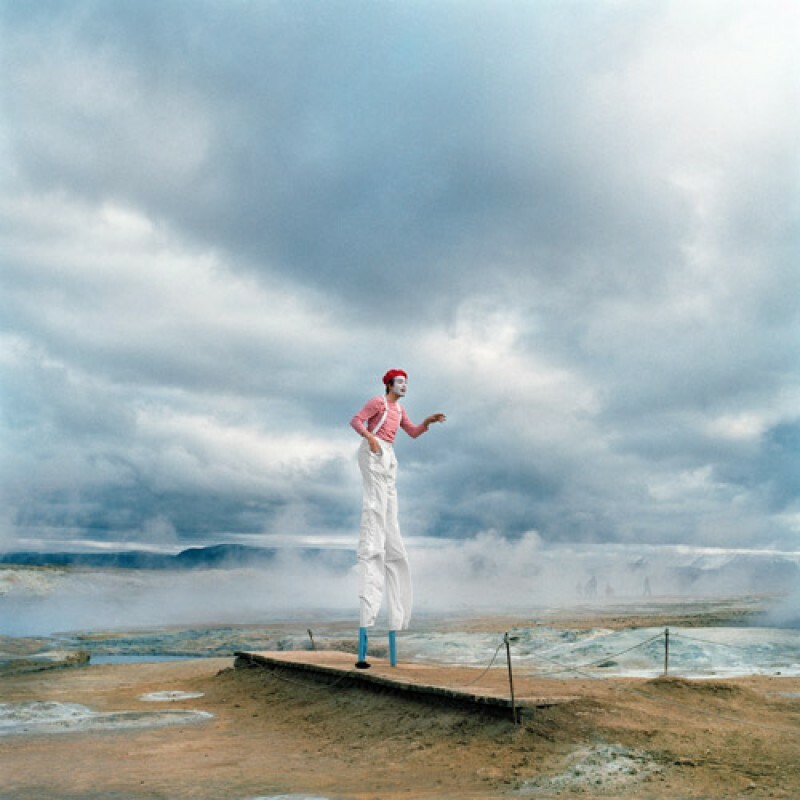 In 2013 the aim of STEYPA was to show a broad photographic perspective of Iceland in contrast to the more conventional type of landscape and nature pictures that are usually taken. Now this concept still is the trademark of the exhibition. This creates a very diverse and dynamic outlook on the show. 31 August: Last day, taking down the exhibition prob. first weekend in Sept. 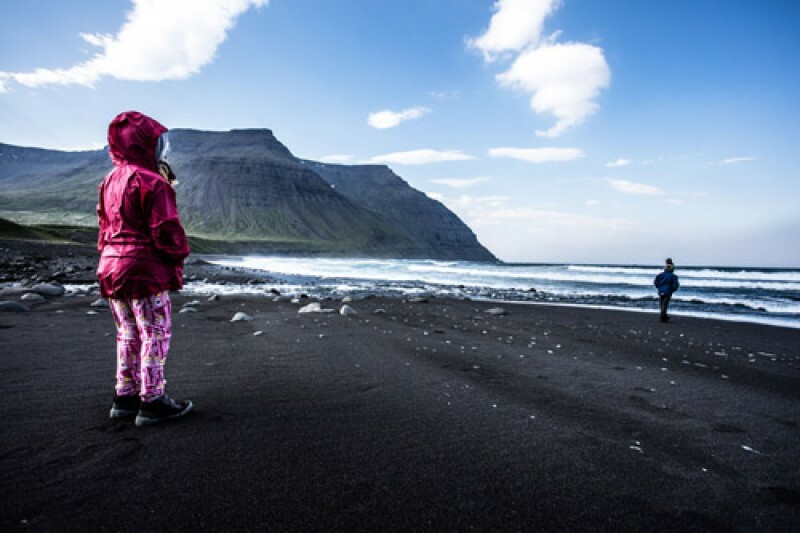 It all started in 2013 as just an experiment – the idea of bringing together various international photographers for one exhibition, all with a connection to Djúpavík in the Westfjords of Iceland. The aim was to show a broad photographic perspective of Iceland in contrast to the more conventional type of landscape and nature pictures that are usually taken. Three years later, this concept still is the trademark of the exhibition. This creates a very diverse and dynamic outlook on the show. After three summers in Djúpavík, this year’s STEYPA is being held in Ólafsvík from 1 June until 31 August 2016. This years photographers are Anna Grevenitis (USA), Christel Thomsen (DK), Christian Svart (GER), Claus Sterneck (IS, GER), Elli Thor (IS), Emilie Dalum (IS, DK), Gulli Már (IS), Johanna Maria Fritz (DE) and Jutta Wittmann (A). See some examples at the end of this text! We, Claus and Emilie, love doing this work and put lots of our free time and energy into making the dream come true! Besides corresponding with the photographers, networking, driving repeatedly between Reykjavík and Ólafsvík in Emilie’s old Subaru, advertisement, we also arrange the exhibition space, carry out PR-work and are constantly in contact with each other. To cover expenses (printing posters, flyers and brochures, work material and tools - and fuel for Emilie’s car) we need a bit of money. We also want to print a book/catalogue with photography shownin STEYPA, to be published and for sale sometime in the beginn of the summer. The photo prints displayed are paid from the artists’ own pockets. We want to let Iceland and the rest of the world know about this remarkable exhibition. So this is where you enter the picture. With your donation, the exhibition will truly shine. We need just modest financial support, and you will of course get something in return: give and take. 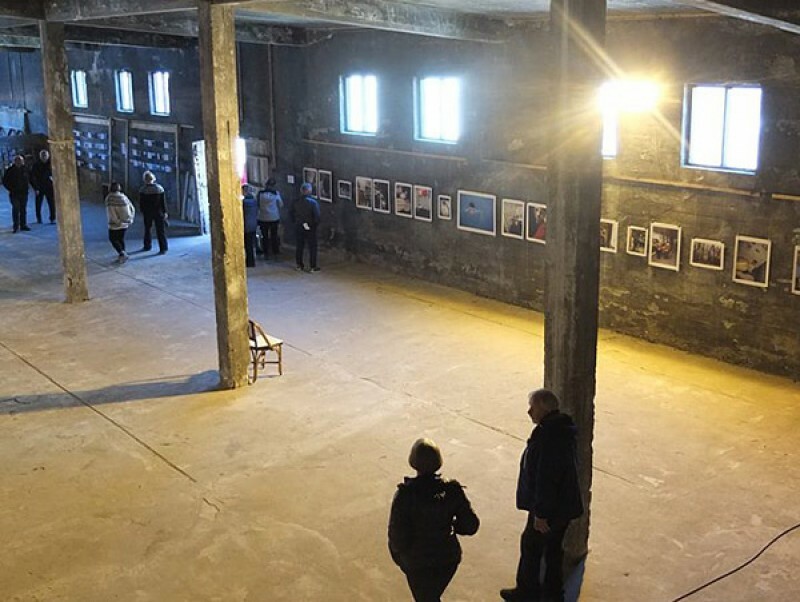 During the summers of 2014 and 2015, the word of the STEYPA Photography Exhibition slowly spread among the people in Iceland and from a broad, and the exhibition gained more and more popularity. Today there’s no doubt that STEYPA has established a name for itself that many people recognize - having seen the show themselves or read about it in the media. This summer 2016, the exhibition will be held in Ólafsvík for the first time, on the popular peninsula of Snæfellsnes and only a stone’s throw away from Snæfellsjökull glacier. STEYPA will be held in the former Maritime Museum (Sjávarsafn). Some remains from that museum are still inside of the building. By integrating the exhibition into the old interior, like aquariums, fishing boats and historical information, we thereby contribute to keeping the old spirits of the Icelandic maritime culture alive. That creates parallel worlds of historical and cultural space on the one hand, and the presence of art on the other. Ólafsvík is located in the Icelandic countryside. 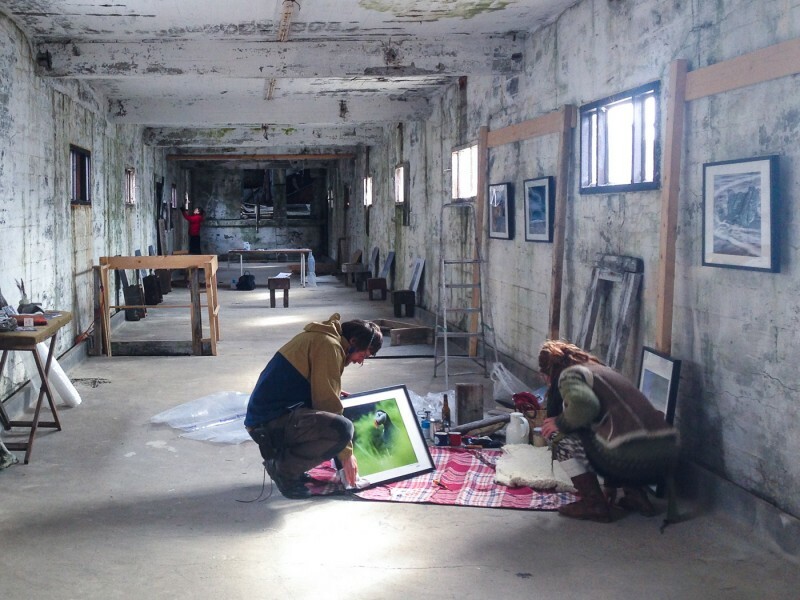 By having the STEYPA Photography Exhibition in a rural area, we will be providing the town with a new vitality and renewing the life of a magnificent building that would otherwise remain empty and isolated. This place will bloom and attract locals as well as curious tourists. 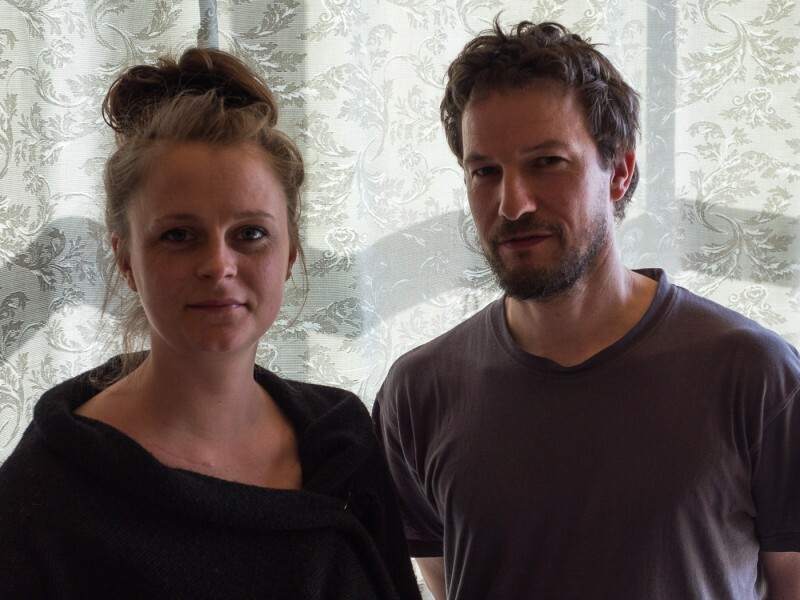 Claus Sterneck and Emilie Dalum met for the first time in the fall of 2012. They connected from the exchange of first eye contact and since then they have been working and collaborating together in different fields, being good friends as well. Emilie moved to Iceland in 2012, and has been here since then - only with a short break in the year 2014. Iceland keeps on fascinating her with all its many contrast and surprises. She completed a one-year photography program at the Fatamorgana Danish School of Documentary and Art Photography, and holds a BA in European Ethnology from the University of Copenhagen. She has exhibited her own photographic work in Copenhagen (Denmark), and Djúpavík and Stöðvarfjörður (Iceland). STEYPA is here to stay. Expect to see us again in 2017. By contributing to this year’s project, you help us keep the wheel spinning for the future as well. For us STEYPA is like watering and nourishing a plant, evoking the beauty in the growth and expansion of it. See you in Ólafsvík this summer!